I always enjoy a sneak peak at what a company has to offer in the new year. Hats off to Kikkor Golf who will be introducing another distinct golf shoe design. The aptly named Retro WP shoe will be part of their 2011 line. With four colors ranging from Black Fusion and Black Knight to White Malibu and White Polar, they’re definitely different from the skate inspired Eppik Blaze that I reviewed earlier this year. The Black Fusion model stands out the most for me. 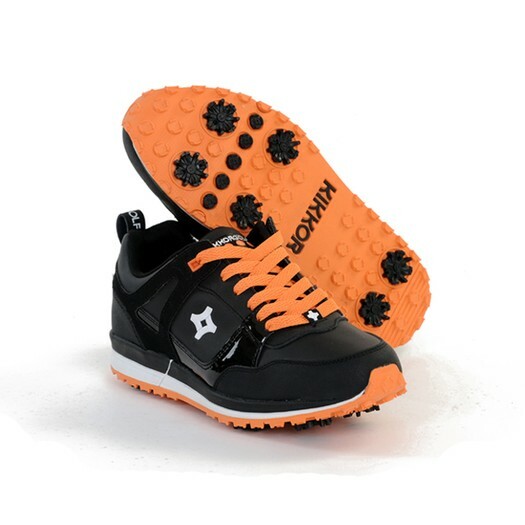 I like the contrasting black and orange, and they’d look great with my "Rickie Is My Homeboy" shirts. Check out their website for more specs on this new model. Also check out Kikkor Golf's Retro Breathe Limited Edition Husky. All proceeds from this sale will be donated to the University of Washington Golf Program.